This integration will allow you to connect with Facebook Ads and start collecting your Ad campaign data. It is a matter of minutes to send your Ads data to feed your BI, your data warehouse, or your custom analytics stack. 2. You will be prompted to connect to your Facebook Ads account through your Facebook User account. 3. If you agree, click OK.
4. 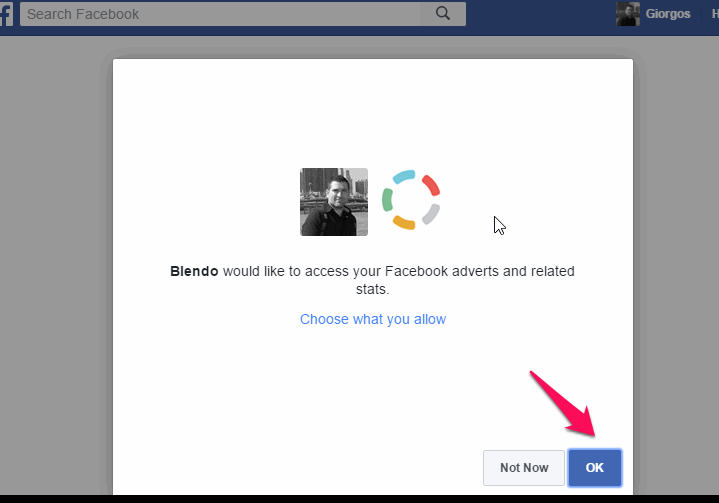 You will be prompted to allow Blendo to access your Facebook Adverts stats. 5. If you agree, click OK. 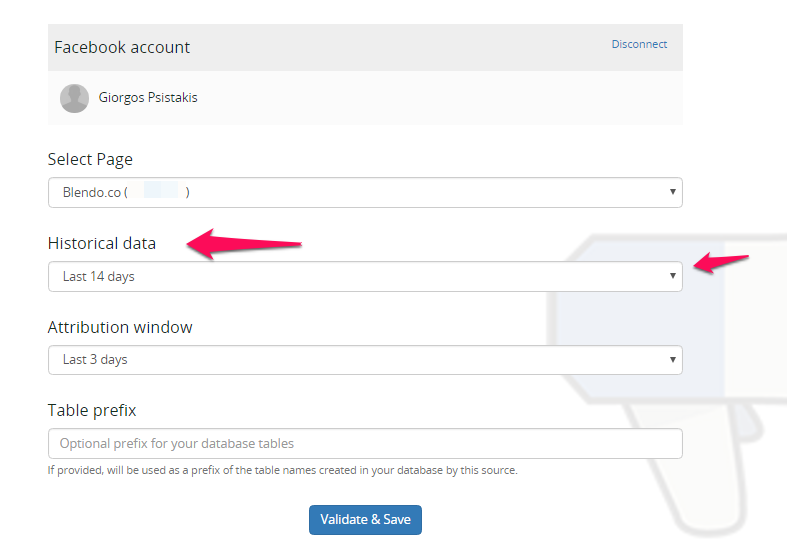 Select the starting date for the historical data sync of your Facebook Ads integration. Data which are newer than this date will be replicated to your data warehouse. 7. At the Historical Data drop down, select the time frame of the historical ads data to get. 8. 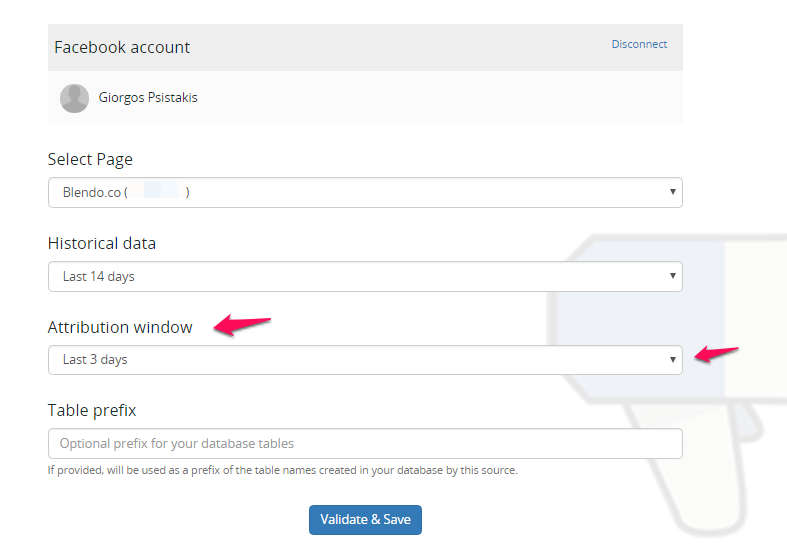 At the Attribution Window drop down, select the attribution window of your ads data. 9. Then you will return back to the home dashboard. Click on your new FB Ads data source. 10. If you want to change the replication schedule go to the Schedule section and click on Reschedule. 11. In the next pop-up select one of the options available and click Apply. When Blendo first connects to Facebook Ads Data source, will pull all your historical data. Blendo syncs Facebook Ads data based on the schedule and frequency you choose. The default setting is every 1 hour but is configurable from inside the app. Whenever Blendo pulls data from Facebook, it fetches data for the last three days on a daily granularity. So, each entry in a table contains the values for a specific date. This information is stored in the columns date_start and date_end where in the case of data coming from data, always contain the same value. 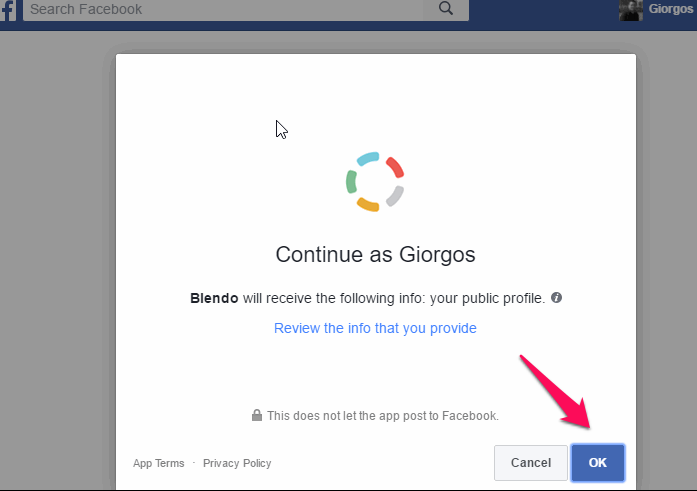 Additionally, the data that is synced by Blendo for Facebook Ads, is appended to your database. So, no updates are happening and you might have duplicate values. For this reason, if you are looking for the latest value for a specific row, you should use the blendo_imported_at column and keep the row that contains the largest value. What Facebook Ads data do I have available? Bellow are some of the tables with Facebook Ads data that we create in your target data warehouse. This table contains insights, aggregated for the whole account. This table holds information information about your campaigns. Columns of this table include: name, objective, account_id, status. This tables has information about your Ad Sets. Columns of this table include: bid_amount, updated_time, campaign_id, daily_budget, lifetime_budget, pacing_type. This table has information about your Ads. 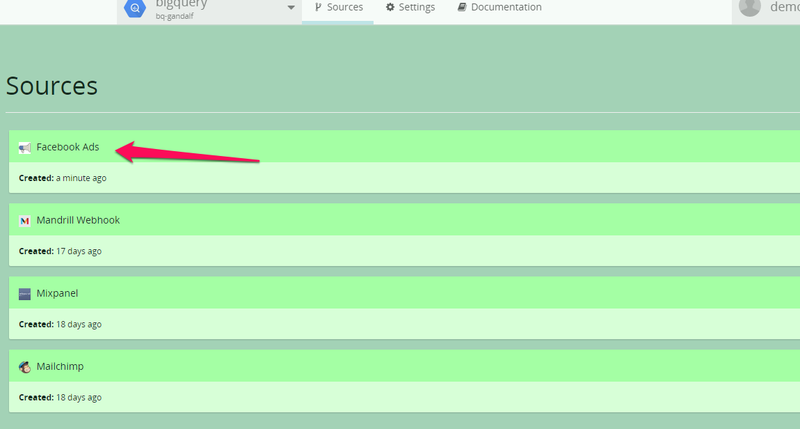 Columns of this table include: bid_type, adset.id, campaign.id, account_id, bid_amount, tracking_specs.post.wall. A table that contains insights about your Ads. Columns of this table include: impressions, reach, adset_name, spend, clicks, campaign_id, account_name. A table that contains the above Ad Insights aggregated per Age and Gender. A table that contains insights about the user actions aggregated for the whole account. Most important information is the action type and its value. For the case of the Account_Insights_Unique_Actions table, only unique actions are counted. A table that contains insights about the user actions for each of the Ads that have been created on Facebook. Most important information is the action type and its value.